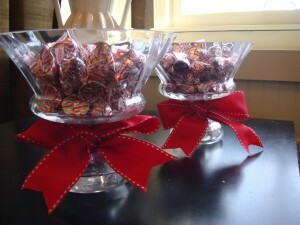 Just thought I’d share another small gift that I think is perfect for teachers, daycare providers, hair dressers, as hostess gifts, or for anyone else that might need some holiday love this season! 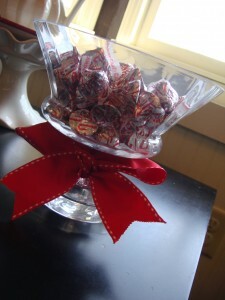 I simply found a cute and classic glass candy dish, and filled it with some peppermint candy kisses. 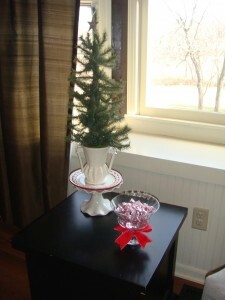 A little pop of color with a bright red bow finished it off. Let the love begin!